I’m a Realtor® and I specialize in just one area and one type of home, I help people buy and sell single family homes in the Catalina Foothills of Tucson, AZ. Likewise my website is focused on the foothills and designed to help you easily search all the homes for sale, see all the homes that have sold recently, and better understand what makes the Catalina Foothills tick. And for a virtual ringside seat on what’s happening in the foothills market, including the latest sales trends and market data, click here to view my blog. In The Foothills Today: 342 single family homes listed For Sale. See them all here - No Sign In - No Registration - Enjoy! I invite you to search all the homes for sale in the Catalina Foothills of Tucson, AZ, from all Realtors® and real estate brokers, everything that is listed in the Tucson MLS – No sign-in or registration required. However, if you wish to save your search and receive email updates of new listings that match your criteria, you will need to register. And please know, I respect your privacy and will not call, email or contact you in any way. 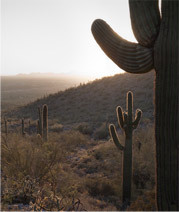 This site features extensive information about Catalina Foothills homes in Tucson AZ, including a variety of easy to use searches of all the homes listed for sale in all the communities and subdivisions in the Tucson Catalina Foothills, including, but not limited to: Pima Canyon, Shadow Hills, the Canyons, Fairfield Sunrise, Ventana CC, Hacienda del Sol Estates, Cimarron Foothills Estates, all of the Catalina Foothills Estates, La Paloma Estates, Foothills II, Pinnacle Ridge, Cobblestone, The Summit, Alta Vista, Canyon Ranch Estates, Eleven Arches, Las Alturas, Sin Vacas, The Summit at Finger Rock, Skyline CC, Bellas Catalinas Estates, the Villages of Ventana, Bonita Ridge, Finisterra and Sabino Mountain. And on my blog – TheTucsonFoothills.com – you will find the latest sales information, current market conditions and more, for single family homes in the Catalina Foothills of Tucson, AZ.